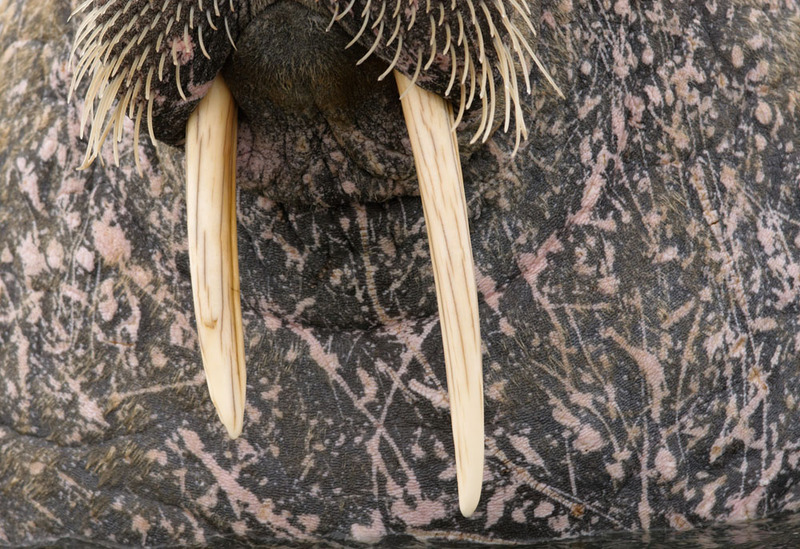 Close up of a walrus in Svalbard. 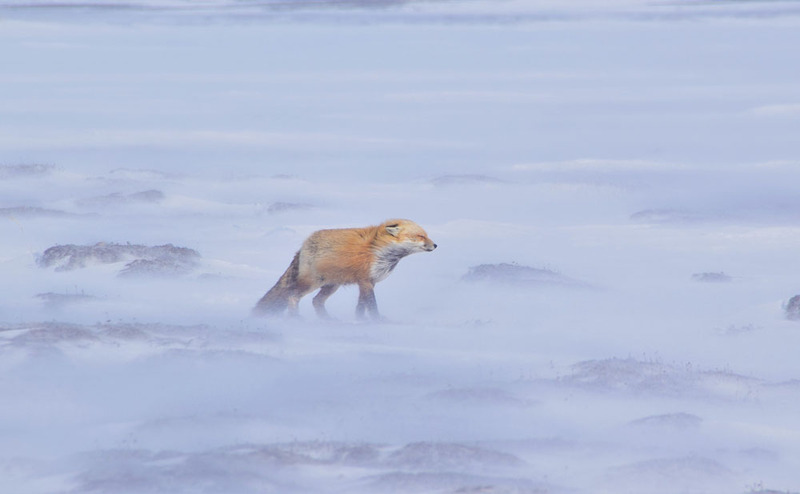 This photo was taken on a very unpleasant field day in Wapusk National Park. The red fox popped out of it’s den and gave us some scathing looks because it was so windy. Around this time our data sheets were blowing across the tundra. 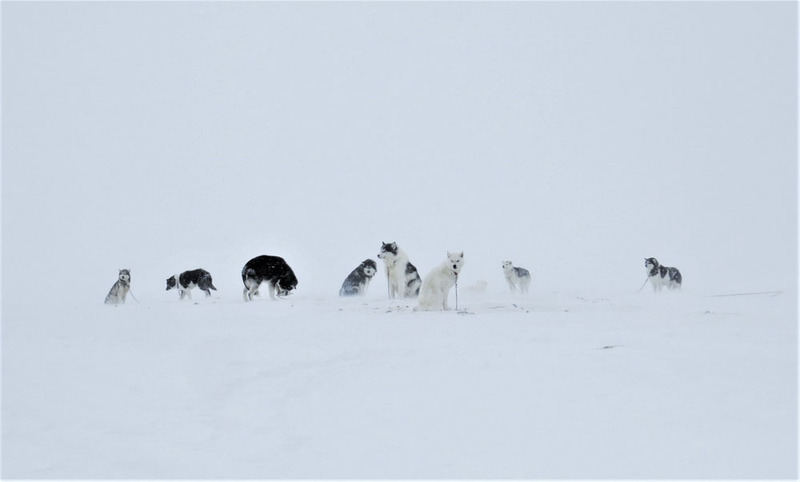 While taking a walk on a blizzardy day on the edge of town, we came across this pack of dogs, feeling completely at ease despite the harsh weather. 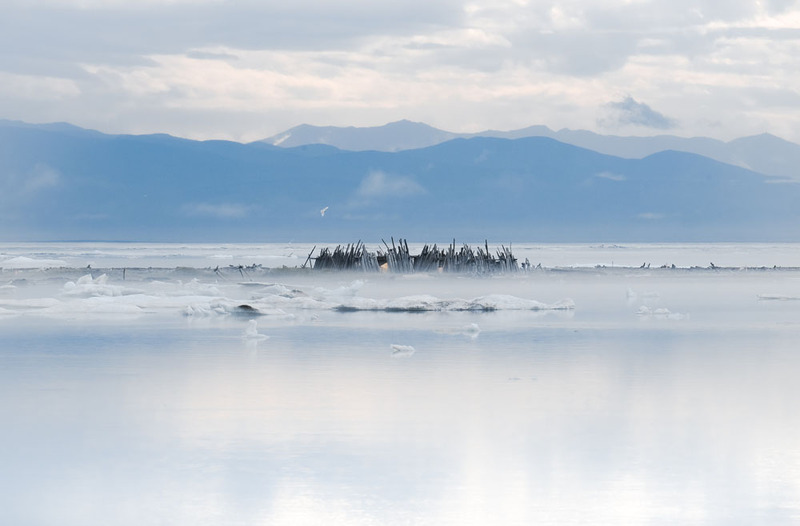 Life around the ice: on Qikiqtaruk-Herschel Island, tent shelters made of driftwood on a spit of sand provide restful nights full of the sounds of the Arctic. / Sur Qikiqtaruk-Herschel Island, des abris pour tentes faits de bois flotté promettent au visiteur des nuits confortables, entourés des bruits de la toundra. 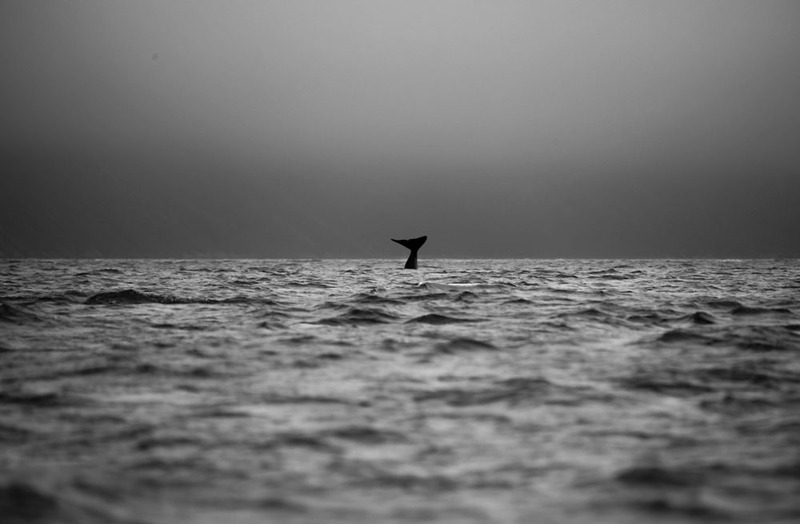 Bowhead whale showing tail slapping behavior.